During the past two decades, some of the Israeli Arab community's elected representatives and leaders have worked harder for Palestinians in the West Bank and Gaza Strip than for their own Israeli constituents. These parliamentarians ran in elections on the promise of working to improve the living conditions of Israeli Arabs and achieving full equality in all fields. However, they devote precious time and energy on Palestinians who are not citizens of Israel. They vie for the distinction of being the most vitriolic provocateur against their country. Such provocations make it more difficult for Arab university graduates to find jobs in both the Israeli private and public sectors. The big losers are the Arab citizens of Israel, who have once again been reminded that their elected representatives care far more about non-Israeli Palestinians than they care about them. The uproar surrounding a recent meeting held by three Israeli Arab Members of Knesset (parliament) with families of Palestinians who carried out attacks against Israelis is not only about the betrayal of their country, Israel. It is also about the betrayal of their own constituents: the 1.5 million Arab citizens of Israel. Knesset members Haneen Zoabi, Basel Ghattas and Jamal Zahalka managed to accomplish several things at once with this controversial meeting. They certainly seem to have provoked the ire of many Jewish Israelis. Perhaps they violated the oath they made when they were sworn into parliament: "I pledge to bear allegiance to the State of Israel and faithfully to discharge my mandate in the Knesset." One thing, however, they have accomplished without question is acting against the interests of Israeli Arabs. Zoabi, Ghattas and Zahalka met with Palestinian families who are not Israeli citizens and do not vote for the Knesset. As such, none of these families voted for the three Knesset members or the Arab List party to which they belong. Of course, as part of a democratic government, any member of the Knesset is free to meet with any Palestinian from the West Bank, Gaza Strip or Jerusalem. It is worth noting that not all Arab Knesset members are involved in fiery rhetoric and provocative actions against Israel. However, there is good reason to believe that some Arab Knesset members deliberately engage in actions and rhetoric with the sole purpose of enraging not only the Israeli establishment, but also the Jewish public. This meeting was the latest in a series of actions by Arab Knesset members that have severely damaged relations between Jews and Arabs inside Israel. Such actions have one clear result: colossal injury to Arab citizens' efforts for full equality. During the past two decades, some of the Arab community's representatives and leaders have worked harder for Palestinians in the West Bank and Gaza Strip than for their own Israeli constituents. These parliamentarians ran in elections on the promise of working to improve the living conditions of Israeli Arab voters and achieving full equality in all fields. However, they devote precious time and energy on Palestinians who are not citizens of Israel. Their spare moments are spent vying for the distinction of being the most vitriolic provocateur against their country. Instead of acting against the interests of the Palestinians -- by pretending they were sitting in a Palestinian parliament and not the Knesset -- there are alternative scenarios. These Arab Knesset members could be serving as a bridge between Israel and Palestinians living under the jurisdiction of Hamas in the Gaza Strip and the Palestinian Authority in the West Bank. Decisions such as the one to join a flotilla "aid" ship to the Gaza Strip -- which was more a poke in Israel's eye than any attempt to help Palestinians -- turn the Jewish public against the Israeli Arab public, who are then viewed as a "fifth column" and an "enemy from within." Such provocations make it more difficult for Arab university graduates to find jobs in both the Israeli private and public sectors. The deeds and rhetoric of these Knesset members have ensured a continuing gap between Arabs and Jews inside Israel. Thanks to some Arab Knesset members, many Jews no longer see a difference between an Arab citizen who is loyal to Israel and a radical Palestinian from the Gaza Strip or West Bank who seeks to destroy Israel. Of course, Arab Knesset members have the right to criticize the policies and actions of the Israeli government. But such criticism ought to be leveled from the Knesset podium and not from Ramallah, Gaza or on board a ship carrying a load of Israel-haters and activists. Just to be clear: this is not a call for banning Arab Knesset members from meeting with their Palestinian brethren from the West Bank, Gaza Strip and Jerusalem. Rather, this is a call for Knesset members to consider carefully their aims and the tone in which they are carried out. The recent meeting in question began with a moment of silence for specific dead -- that is, the Palestinian attackers who murdered and wounded several people. Jewish Israelis are likely to have particular feelings about this choice of opening. Things could have been different. Arab Knesset members could have used the meeting to issue a call for an end to the current wave of stabbing, vehicular and shooting attacks, which began in October 2015. They could have demanded that Palestinian leaders, factions and media outlets cease brainwashing young men and women, and cease urging them to murder Jews -- any Jews. 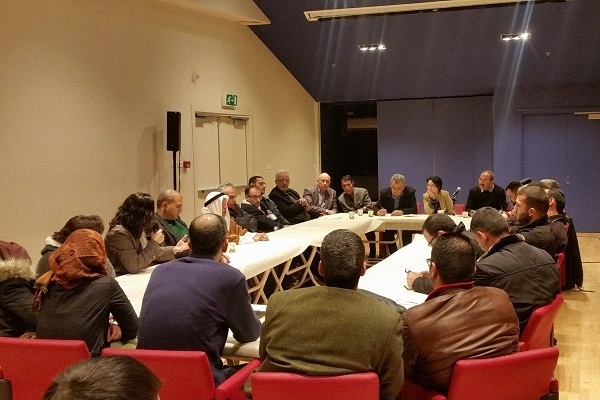 The Palestinian families who met with the three Arab Knesset members have nothing to lose. Nor do the other Palestinians living in the West Bank and Gaza Strip. For them, these Knesset members are probably doing a better job representing them than the Palestinian Authority or Hamas. Thus far, only a handful of Arab Israeli voices have had the courage to criticize their representatives in the Knesset. Yet it is precisely these citizens who need to punish their failed Knesset members, not the Israeli government or any parliamentary committee or court. The power is certainly in their hands. If the Israeli Arab majority continues to waffle, allowing its leaders free reign, Arab Knesset members will lead their people only to nothing. Surely if Israeli Arabs do not feel that the current Arab members of the Israeli Knesset represent their interests, they could vote for someone else? Unless I'm mistaken the voting in Israel is 'blind' - every one of Israel's 1.5 million Arabs could vote for whomever they choose, privately, and tell their family/pollsters that they voted for the Arab List if that's what they need to do to save face in public. The only logical conclusion I can come to is that the author thinks, very rationally, that the actions of Arab List politicians are damaging to the cause of Arab-Israeli integration and equality. I'm sure that they are. Likewise, I can only conclude that a large majority of Israeli Arabs disagree with the author about what constitutes their core interests and that they do not seek integration and equality - but rather they seek division, conflict and the end of Israel. Is there another explanation? Traitors. How long before one of these Arab MKs gets arrested for hiding explosives in her house? The Arabs with brains, and I am sure there are plenty in Israel, vote for who is going to give them the best deal. Unfortunately in politics there are many traitors, who do nothing for the electorate that votes them in. Let's not forget that there are LOTS of Arabs who vote for parties other than the Arab list. I would guess a solid third vote for "Jewish" parties. Amusingly, the voting district with the highest percentage vote for Likud/Netanyahu was... a small Arab village! There is no such thing as an "Israeli Arab". It is a contradiction in terms. "Israel" is the name which God gave to Yaakov after he wrestled with the Angel. The "i" at the end of a proper name generally signifies "son of". "Davidi" is son of David. "Itzhaki" is son of Itzhak, etc. So "Israeli" means a son of Israel, i.e. a son of Yaakov. And "Israelit" means a daughter of Yaakov. The Arabs are not descended from Yaakov, and are of a different line altogether. Your literal pronouncement of historical fact has apparently been overly broadened for the purposes of convenience of a press corps that hasn't the biblical knowledge that you have. The issue of the term "Arab-Israeli" is truly a riddle in view of these particular Arabs being citizens of Israel. As the term has been utilized by a press corps focused on Israel, it has become universal to those less informed than you are, and I must admit I'm one of those uninformed. 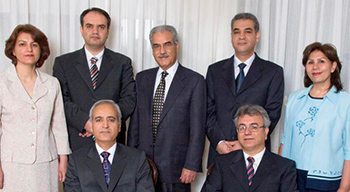 Since these people are truly not sons of Yaakov, how should they be referred to, presuming they are peaceful Muslims living in and observing Israel's laws? Now is as good a time as any for the matter to be corrected and to quit overlooking "political correctness" to satisfy those disinterested in the historical values of Israel the nation. In this case, what reference should be made to these people as opposed to those Arabs who do not live in Israel, are not citizens of Israel, in a territory like the West Bank? Should there be a distinction made between these Arabs? I ask because I've been referring to them as "Israeli-Arabs", all the while feeling the term has been a clumsy substitute for something more defining, but feeling very tentative about the matter. You have called attention to this issue and I thank you. "Israeli" is a modern term used to identify someone as a citizen of Israel. The word is not used in the context of the Hebrew definition denoting "son of". It would also be incorrect to refer to citizens of Israel who are Arabs, as Palestinians as they are not citizens of Palestine. Palestinian is not an ethnic identity but a national one. To refer to them as just Arabs is also not quite correct. If they are not Israeli nor Palestinian, what should they be called? David, re: your post of Feb 14 2016, I am sure you are a good, decent person. But I hesitate to respond to a person who does not take responsibility for his words. I know that many people use pseudonyms in Internet chats. But I disagree with this custom. It is a kind of hiding, a kind of weakness. Sorry, nothing personal. I will respond because this is an important matter. "Israeli" is not a modern term. It is extremely old. The State of Israel is not a modern innovation either. It is something ancient, which was destroyed, and which we are reviving: the ancient State of the sons and daughters of Yaakov, ie Israel. The term "Israeli" never has referred exclusively to the citizens of Israel, because it was in use to refer to the sons and daughters of Yaakov, all the years of our exile, when the State of Israel had not yet been revived. Maimonides, c.1135-1204, for example called himself an Israeli in the opening page of some of his medical writings, but he adds the term "Cordoveri" to indicate where he was living at the time. Obviously, the Israeli-Arab parliamentarians overlook, as a triviality, the oaths to Israel that they made upon election to the Knesset. They protect their misrepresentations through their far stronger allegiance to the Koran, which advises that lying to non-Muslims is permissible in the furtherance of Islam. If their Arab constituents really care how they're represented in the Knesset by their elected officials, it is incumbent upon the voters to assure themselves of proper representation as citizens of Israel, to select worthy representatives to run for office. Perhaps the poor representation should be laid at the feet of the voters, whose community has never had a legacy of democracy, therefore cannot realize the value of democratic government. Another great article from Khaled Abu Toameh. It is so frustrating to me that this happened. I grew up in a very intellectual liberal family. My father had Arab Israeli students who he was helpful to and friendly with. It is sad for Arab Israelis that their leaders in the Knesset have turned out to be traitors who are supporting Palestinians who go out into the street and murder innocent Israelis. It is a slap in the face to both loyal Israeli Arabs and the liberal secular Jews who support them. It encourages those on the right to say -- see they can not be trusted. It also does not help that a few of the murderers recently were not Palestinian but were Israeli Arabs who lived in nice homes and had nice jobs in Israel. You do a disservice to Israeli Arabs when you define their supporters as only the secular and liberal Israeli Jews. Just as there are Israeli Arabs who vote Likud, there are Israeli Jews of all parties who support the rights of Israeli Arabs. The Arab Knesset members who seek to betray Israel are a slap in the face to all Israelis! Wonder if feasible to sponsor meetings of Israeli Arabs that would speak to improving their lives rather than mourning traitors and murderers. Announcing that the purpose is to enhance the lives of citizens that happen to be Arab. You hit the nail on the head with your article. I am very concerned that silent Arab Israelis who are loyal citizens in Israel suffer due the actions of others. Please speak up and make your voice heard. @ Jewish Israelis - Please remember to differentiate, to give each individual a fair go. The behaviour of the Balad MKs was indeed shameful and I hope that their supporters will show their displeasure at the next elections. Israeli Arabs continue to be held hostage by their own political leadership and the Arab world at large. The Arab voting block represents one of the larger voting blocks in Israel. If they were to participate in the government in Israel, they would be able to influence policy for their benefit. As the article points out, the elected representatives use their position to criticize Israel instead of trying to use their position to improve the lives of the people they represent. It becomes a self fulfilling prophecy of being a "second class" citizen. Once again they are their own worst enemy. Israel has to endure E.U., Barack Hussein financing opposition by stealth to destroy Israel. As a result certain crimes can't be fought. Foreign Agent in the USA, the same proposed in Israel is immediately pounced on by the two mentioned above as un-democratic. Consider a member of the House in the USA meeting with the bereaved parents of Atta, the Egyptian Islamic terrorist of 9/11 an holding a moment of silence calling him a martyr. That is what is happening in Israel with member of the Knesset who are Israeli Arabs. All around Israel Arabs are killing each other while not killing Christians. They live in a bubble of peace, the only one in the Middle East. Yet they go and glorify Islamic terror murdered citizens of their state, The Jewish state of Israel. Khaled abu Toameh well describes half of the problem. The other half of the problem comprises: the Arab electorate's continued support of anti-Israeli representatives whose views and actions are well known; the general lack of Arab identification with Israel by doing national service; the lack of public condemnation of acts of terror against their fellow (Jewish) citizens or the incitement by their imams. Toameh wrongly attributes Israeli Jews viewing Arabs as a fifth column to their representatives; their representatives merely expose the majority of Arabs for what they are - a fifth column.